White will always be classic. I'll use this same line for the black base. 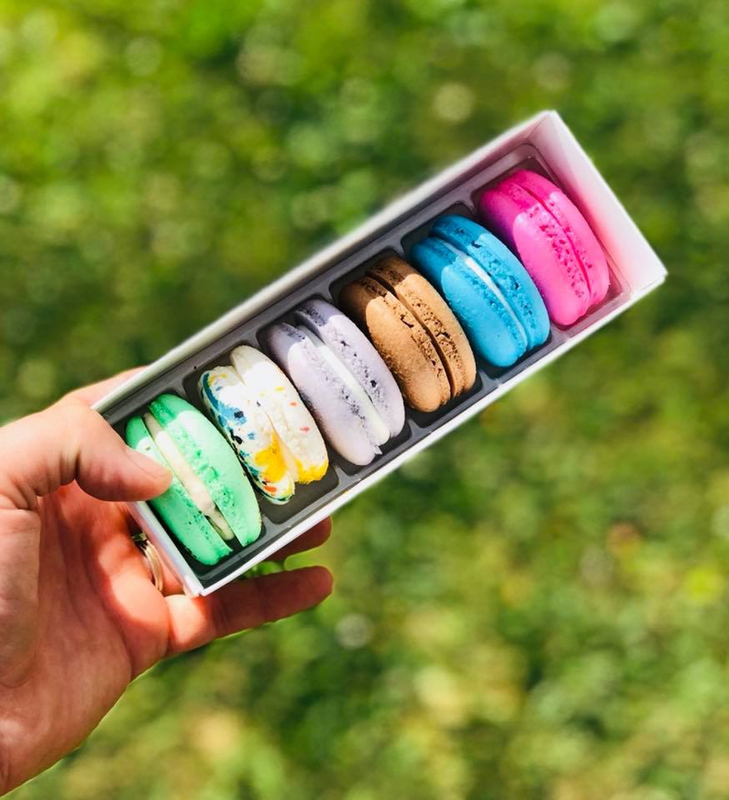 This white base along with the macaron box sleeve allows your decadent delicacies to speak to the senses of those who might be lucky enough to appreciate your mouthwatering creations, whether they be macaron or miniature cupcake. White offers a pristine canvas for the colors of your confections to be selfish with attentions. Everything we use is awesome. It's beautiful, simple and everything fits perfectly. 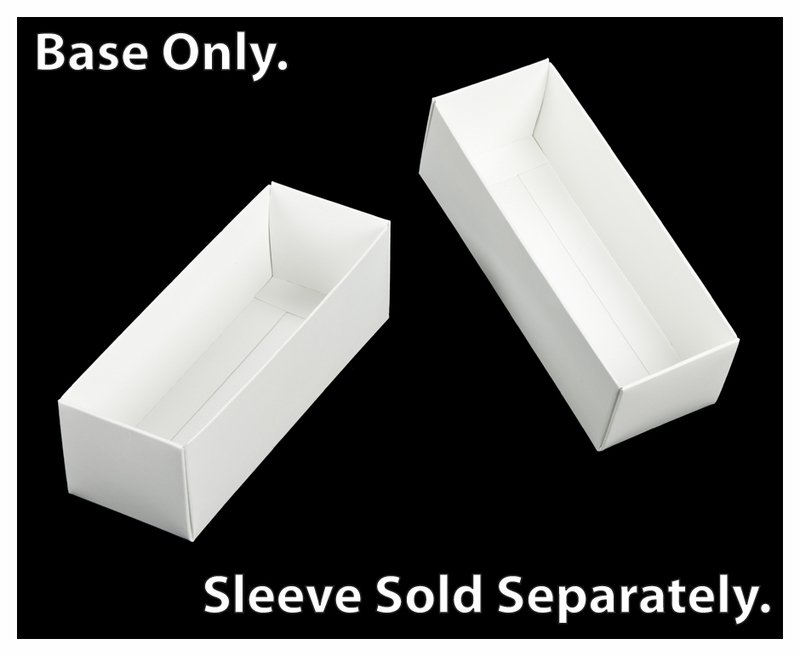 Our customers love our boxes as well, we get so many compliments. The prices are the best, the delivery service is always consistent and on time. We wouldn't go anywhere else. This box is the best I've found so far at a great price! The shipping is very timely, quick. It always comes in 2 days. You can't beat the price with the free shipping and quick service. Exactly as advertised. Easy to assemble. Best UsesSix macarons fit nicely. 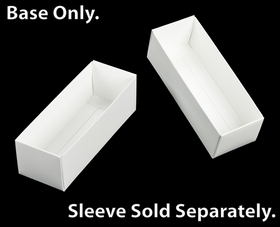 Easily folded into shape. Strong construction. Good quality. These are great! Clients love the size and I always get compliments on my packaging. 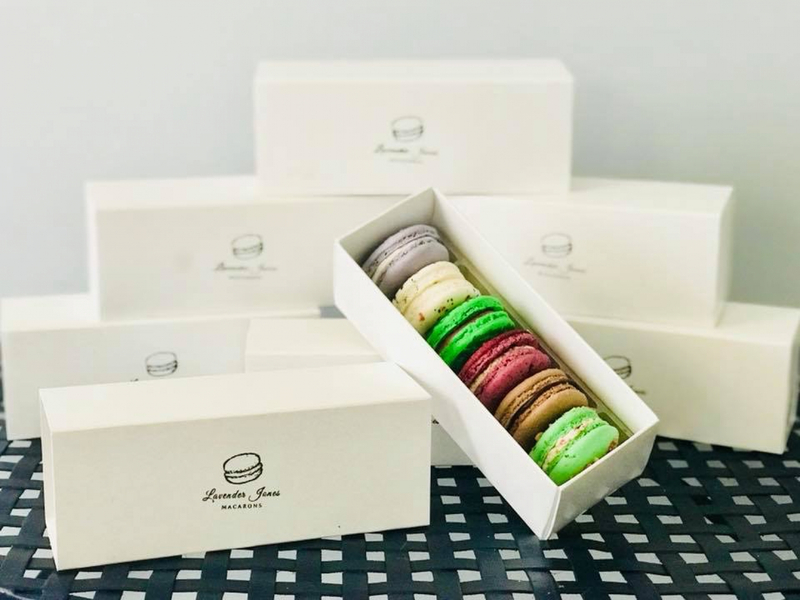 How many macarons this box can hold? 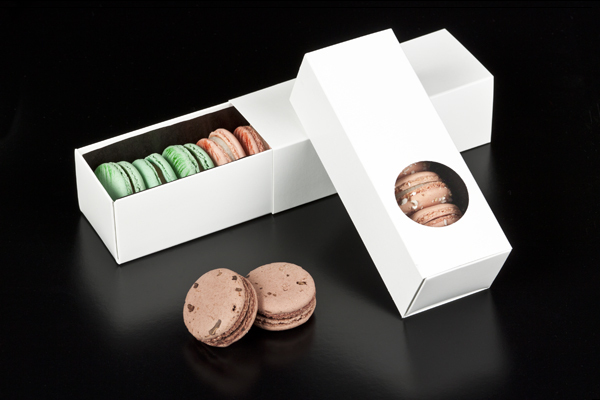 This box holds 5-6 macarons, depending on the thickness of your macaron.